Happy Halloween! At one point earlier this month I entertained the notion of making some sort of ghoulish cupcakes or muffins, but that just didn't happen. However, I did buy a pumpkin this year, not to decorate but to use for baking. These scones took exactly half of a small pie pumpkin. Typically, I despise all pumpkin dishes from baked goods to savory pastas. I do, however, enjoy baking and cooking with pumpkin because I know I won't go nuts with the tasting. My various pumpkin creations over the years have included pumpkin chocolate muffins, pumpkin muffins with raisins, and a classic pumpkin pie. Originally, I had the notion of making some sort of ghoulish cupcakes or muffins. 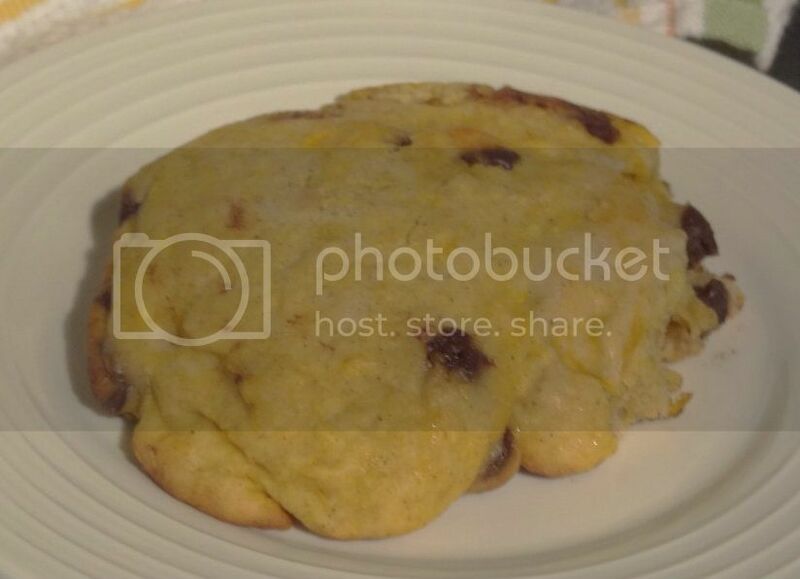 However, when I came across this recipe from Mommy Hates Cooking for chocolate chip pumpkin scones, I had to try it. 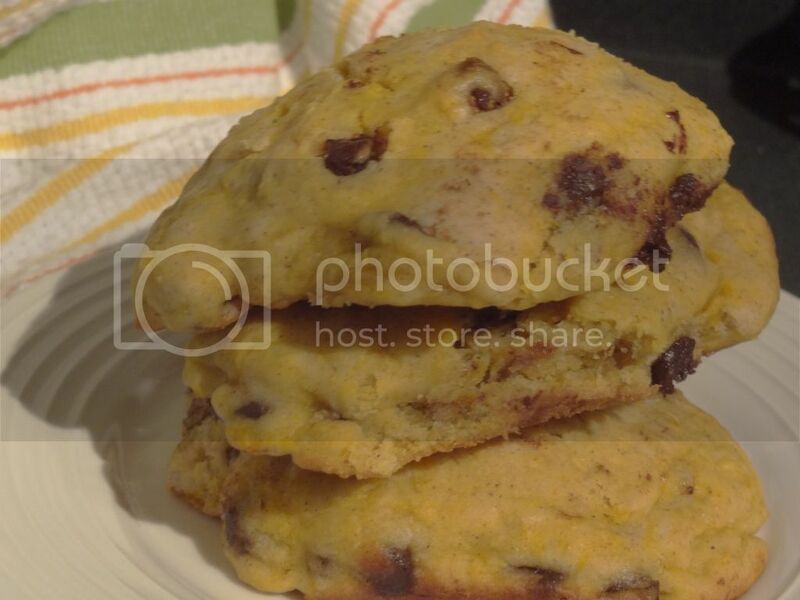 I love scones, especially these, so even though there's pumpkin in the recipe, I was open-minded. They're not bad. I know that's not the most roaring of endorsements, but I do mean to be positive. There's a little too much pumpkin in them for me as I can still taste it. There may not be enough of the flavor if you love pumpkins, but if you're somewhere in between they're just right. These scones are also more of a flatish muffin or cake than what I think of as a scone (which should be heartier than a muffin). I also think they're missing a texture piece and wish I would have added oatmeal or some nuts before baking. But that being said, they ooze with chocolate and are extremely moist. Conveniently, this recipe took exactly half of a small pumpkin so I have another half (a cup or so) to try another recipe if I'm so inclined. I followed the original recipe precisely except I swapped in 1 cup of whole wheat flour instead of using only all-purpose. In a large bowl combine flour, sugar, baking powder, and salt. Cream in butter and add egg, milk, pumpkin, and pumpkin pie spice. The original recipe suggests turning the down out on a floured surface, kneading a bit, then cutting rolling into a circle and cutting into wedges 1/2" thick. I simply used my large muffin scoop. Bake on parchment paper or a greased cookie sheet for 15 minutes or until browned.